It would be fair to say we are a beef eating family. So, when Foodbuzz sent me an email about an opportunity to pair up with the Texas Beef Council* to share some fun recipes featuring lean beef I found it very hard to say no. With that said, over the next few weeks I will be posting some of my fun, tasty beefy shenanigans. 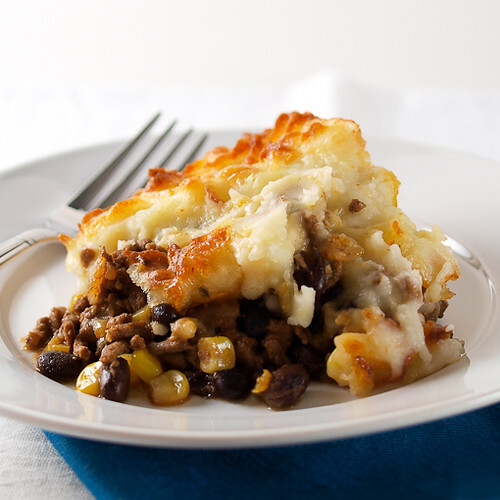 This first recipe is inspired by a traditional English Cottage Pie. Quick! 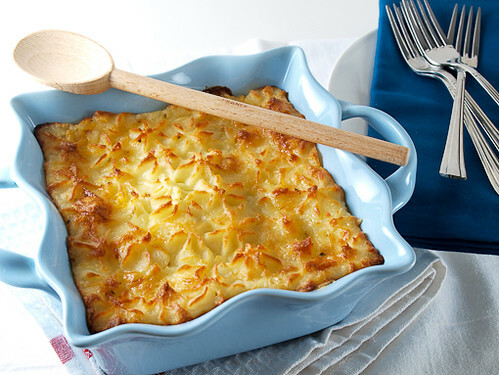 Pop quiz: What is the difference between a Shepherd’s Pie and a Cottage Pie? [Insert popular game show music here] Answer: A Shepherd’s Pie is made from ground lamb where a Cottage Pie is made of ground beef. If you knew the answer then gold star for you! 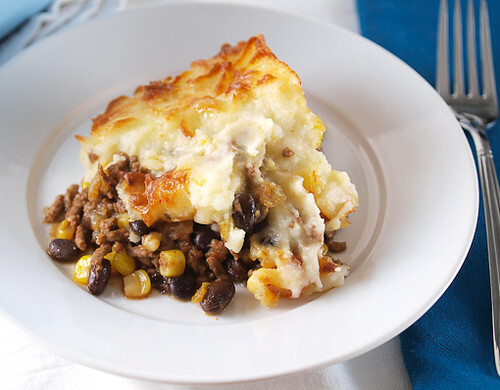 So, this first recipe is a Texas take on a British Cottage Pie. 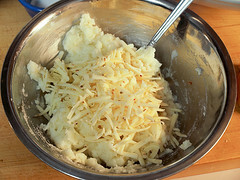 I started with a cheesy mashed potato topping using spicy pepper jack cheese. I love the subtle hint of spice and the rich flavor it provides. 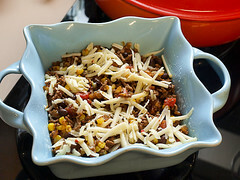 Next, the beef in this dish is cooked with plenty of warm Tex-Mex inspired spices along with some red pepper for heat. Instead of peas and carrots I decided to go with black beans, corn, and tomatoes. The finished product is a complete meal that is family friendly, easy, and, if you have any left over, it makes a superb lunch! Heat the oven to 350 F and spray a baking dish with non-stick cooking spray. 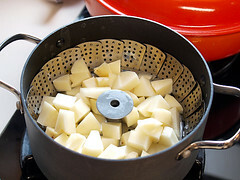 Steam, or boil, the potatoes until they are fork tender. 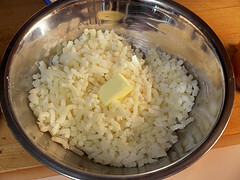 Press the potatoes through a ricer, or mash with a masher, until smooth. Add the butter and half the milk. Mix, adding additional milk as needed, until the potatoes are smooth and creamy. 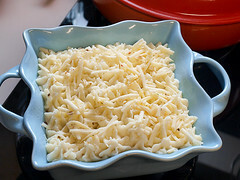 Stir in 1 cup of the cheese and salt. Set aside to cool. In a medium skillet over medium heat add the oil. 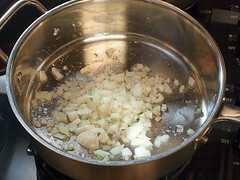 Once the oil shimmers add the onion and salt. 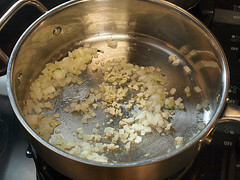 Cook, stirring often, until softened. Add the chopped garlic, chili powder, cumin, smoked paprika, red pepper, and cinnamon and cook until fragrant, about one minute. 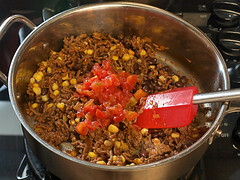 Add the beef and cook, stirring frequently, until well browned. 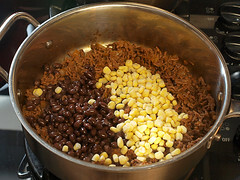 Once browned add in the black beans and corn. Cook until the corn is heated through. 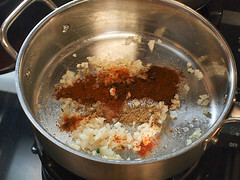 Stir in the tomatoes and then transfer the mixture to the prepared dish. Top the meat with half the reserved cheese. 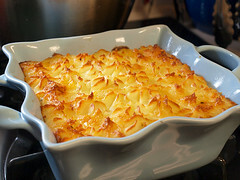 Spread, or pipe, the potatoes onto the meat mixture and top with the remaining cheese. 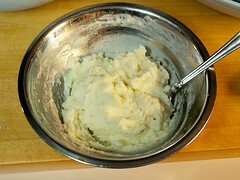 Bake until the mashed potatoes begin to lightly brown, about 30 to 35 minutes. 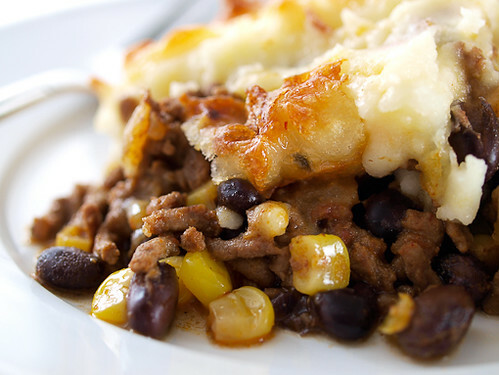 Allow the casserole to rest 10 minutes before serving.